NEWPORT BEACH — Family and friends of racers won’t all be sailing in the Lexus Newport-to-Ensenada Yacht Race. However, they can participate in many of the associated race events and welcome the boats as they arrive in Ensenada. Along with the new title sponsor — Lexus — the race will feature a new headquarters at the Hotel Coral and Marina, a new finish line that is visible from shore and a Saturday night fiesta at Hotel Coral that promises to be an event for the record books. For those who are not racing, but still want to join in the festivities in Ensenada, round-trip bus service will be available from Newport Dunes Resort Marina, Dana Point Marina and Old Town San Diego. The bus will leave in the morning April 28 and return in the evening April 29. Reservations can be made via email at bajaama_tours@yahoo.com. The cost is $70 round-trip, and payment must be made in cash when entering the bus. The race starts on Friday, April 27 — and viewing the start from the Balboa Pier is a great thrill. The starting sequence for the race will have cruising classes starting first, at 11 a.m., followed by all other classes, at noon. Starts will be in 10-minute intervals. 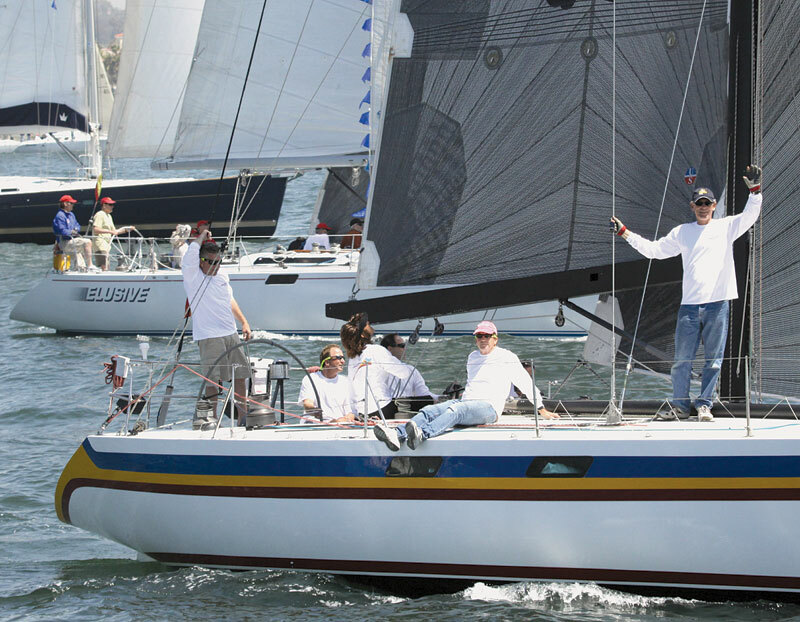 At press time, a total of 213 boats were entered in the 65th annual Ensenada Race. Andy Rose has raced to the Mexican resort town on various boats in nearly half of the previous 64 races — the first when he was 15 years old. Rose is co-owner of It’s OK — a high-performance Andrews 50 — with Lew Beery and Tom Purcell, aka Tres Gordos Sailing LLC. Rose can’t remember exactly how many of the races he has done, but he will say this: “No two are exactly alike. “You see a lot of conditions that you sometimes wouldn’t get unless it was a longer race,” Rose said. “It’s fun sailing after dark. If the race doesn’t have some very light squirrely stuff in the night, we don’t do very well. Rose, 61, also has sailed as watch captain/tactician on successful Transpac races, a couple of Sydney-to-Hobart races and a victorious Transatlantic race, plus an America’s Cup on one of Alan Bond’s early unsuccessful forays to Newport, R.I., in 1977. What he likes about the Lexus Newport-to-Ensenada Yacht Race is that “it’s a very challenging race.” Although it’s only 125 nautical miles from the Balboa Pier to the new finish line off the new race headquarters at the Hotel Coral and Marina, it presents important strategic decisions, along with unsurpassed pre- and post-race fun. At a recent pre-race seminar, Rose discussed three decisions participants in the race must make that are key: whether to go offshore at the start or stick to the coast; whether to go inside or outside Los Coronados islands at the border; and when to jibe to the finish inside Bahia Todos Santos, where races have been won and lost in the tricky breeze. Some of the boats whose skippers are eager to return home don’t dock after finishing, but just head for home: “Turn and burn,” it’s called. For post-race event details and more information, visit nosa.org.